You have just found a suitable carpet for your home, and now you are simply waiting for the installers to arrive on the agreed upon date. Now what? 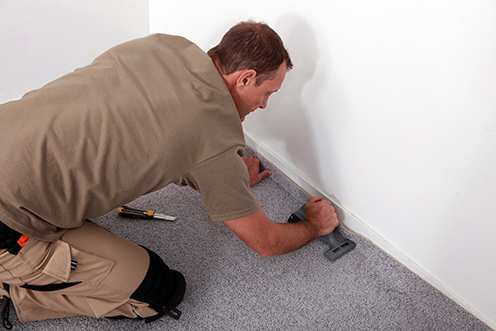 When it comes to carpet installation, Mansfield residents ought to know that there are several things that they can do in order to ensure that the process goes along smoothly and that the end result you desire is achieved. Carpet installation is classified as a construction project; as such, expect that there will be noise and strong odours while the work is being done. In order to keep your family and pets safe from respiratory issues, make sure that they are prevented from entering the work area. If the area needs to painted or if wallpapers are to be installed, make sure that these are done before the carpet installation. Also, make sure that electricity is available when the professional installers arrive. Be sure to clear the area and move appliances and furniture to another location. This will prevent unnecessary damage and facilitate the faster completion of the installation. When the carpet installers arrive, make sure that your kids and pets do not disturb them. Otherwise, they may disrupt the workers and even inhale the fumes from the chemicals used. It would be beneficial for you and the professional installers if there is one member of the household who can interact with the latter. If this is not possible, make sure you communicate with the workers before the actual installation and make the necessary arrangements. Before the workers leave, be sure to carefully inspect their work. If you have a particular concern, make sure you voice these out to the installers. Also, be sure to make the workers clean the area before they leave. After the workers leave, be sure that the area they worked on gets ample ventilation for the next 72 hours. In order to ensure that your new carpet lasts and looks good for a long time, here are a few important tips that you can follow. First, invest in area rugs and runners which should be placed in high traffic areas. These can help minimise soiling while giving ample protection to your carpets. Next, be sure to keep your carpet clean. The best way to do this is to vacuum regularly. This will prevent dust and debris from damaging the fibres. Finally, do not wait until you see signs of wear and tear before you seek the help of professional carpet cleaners. Ideally, your carpets should be professionally cleaned once or twice a year.